Leave it to Goldfrapp for bringing me back to my blog. 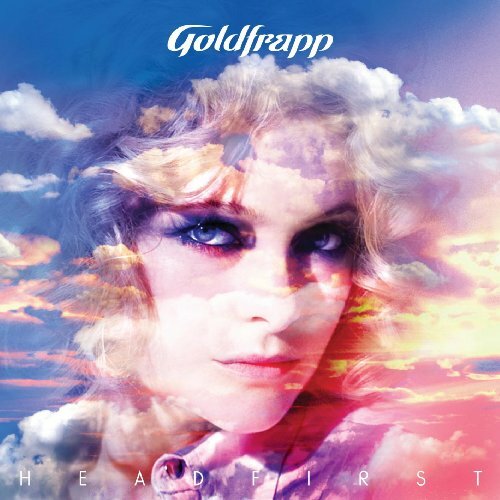 This week, Goldfrapp released "Head First", their 5th studio album. As with their other albums, Goldfrapp shows they are unafraid to take chances by changing styles. It's apparent from the very first listen that the duo was having a lot of fun making this album. If you're looking for an "up" album, this is the one. Each song is so memorable and melodic, I bet you'll be singing a chorus or two in your head while you're trying to go sleep at night (yes, and it drove me crazy). Needless to say, I've been playing it like crazy. As far as the songwriting goes, Goldfrapp basically kept to their style. What sets this set apart from previous releases is the 80s production. Not only did they master the feel of the era, but they improved it. I'm not sure if Goldfrapp meant to be obvious, but I can definitely hear specific 80s songs use as influences. In fact, this could almost be seen as a remake album. Sorta. Rocket - Van Halen "Jump"? or perhaps a Pointer Sisters' song? Believer - "Young Turks" by Rod Stuart. Even the chorus borrows from the synth hook at the start of Rod's song. Alive - Mixes two songs by Billy Joel, "It's Still Rock And Roll To Me" (rhythmic patter of melody in verse) and "My Life". Dreaming - ok, I can't come up with one for this. Maybe Book Of Love?. If you can think of a song this one sounds like, post the title. Head FIrst - ABBA all over the place! Hunt - Mixes Art of Noise "Moments In Love" with Eurythmics "Who's That Girl". Shiny And Warm - Prince "Let's Pretend We're Married". Bass line and even the claps are there. I Wanna Life - Mixes Taylor Dayne "Don't Rush Me" and Corey Hart "Sunglasses At Night". Voicething - um... um... um... um... not sure.